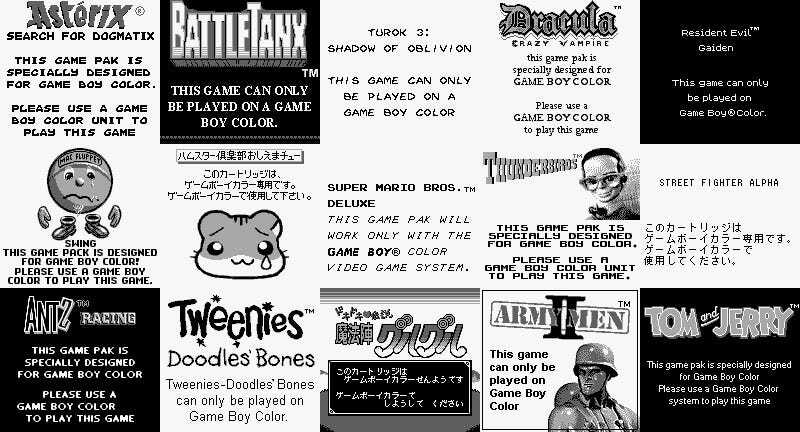 You can’t stick a Game Boy Color cartridge in a Game Boy. You can’t stick a Game Boy Color cartridge in a Game Boy. Most of ‘em won’t work. Here are almost 1000 examples of games telling you that.